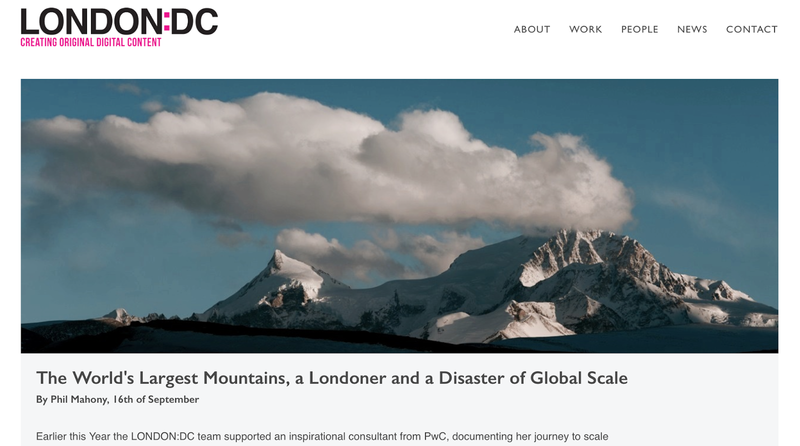 Earlier this Year the LONDON:DC team supported an inspirational consultant from PwC, documenting her journey to scale two of the world's largest mountains back to back. Heather Geluk is a Canadian born Londoner, a full time consultant for PwC who conquers mountains in her spare time. 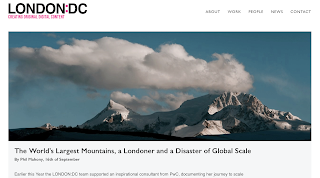 In April of this year, Heather left for Tibet attempting the remarkable feat of climbing two of the world's largest mountains, Shishapangma - 14th highest at 8013m and Cho Oyu - 5th highest at 8201m. The scale and difficulty of the challenge is difficult to comprehend for a professional climber, let alone for a city worker. Heather would become the first women in 23 years and only the second women ever to achieve the task if successful. We prepared a team headed by LONDON:DC's principal DOP, the Bafta award winning Huw Walters, to capture the adventure and create a shareable documentary to celebrate the milestone. The team flew to Kathmandu, Nepal before heading overland to Tibet, before settling and beginning their journey. What was to happen next would change them forever. On the morning of April 25th at 11:56am, a devastating earthquake shook the mountains. Dominating international headlines, it was the worst natural disaster to strike Nepal since 1934, killing 9000 and injuring a further 23,000. Hundreds of thousands were made homeless and entire villages flattened. It triggered an avalanche on Mount Everest killing 19 - the deadliest day in the mountain's history. At the time Heather was positioned at advanced base camp on Shishapangma. By her own account, the quake last 20-25 seconds which she describes as the longest of her life. Their knowledge of the destruction was limited by the lack of communication and it wasn't until they returned to Kathmandu the scale became apparent. "I've since travelled and distributed relief to areas that I didn’t even know existed, unpronounceable place names on a map are now personified by images of rubble and the outstretched arms of the vulnerable.. Sometimes I forget that I originally came to Nepal in early April to climb mountains. Little did I know that when I arrived that these mountains would be more proverbial than real. The people that I've met, the things I've seen and the lessons learned have been more impactful than any summit I've ever attempted, stood on or dreamed about". The documentary will be released in October 2015.